← 15 Disneyland Tips and Tricks! It is pretty simple to make and inexpensive too! 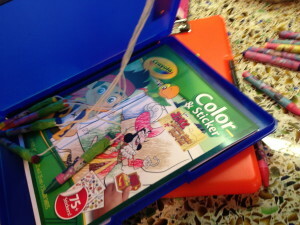 Here is what you need: pocket clipboard, string, tape (I used green painters tape for the fun color), crayons (or markers), and paper. 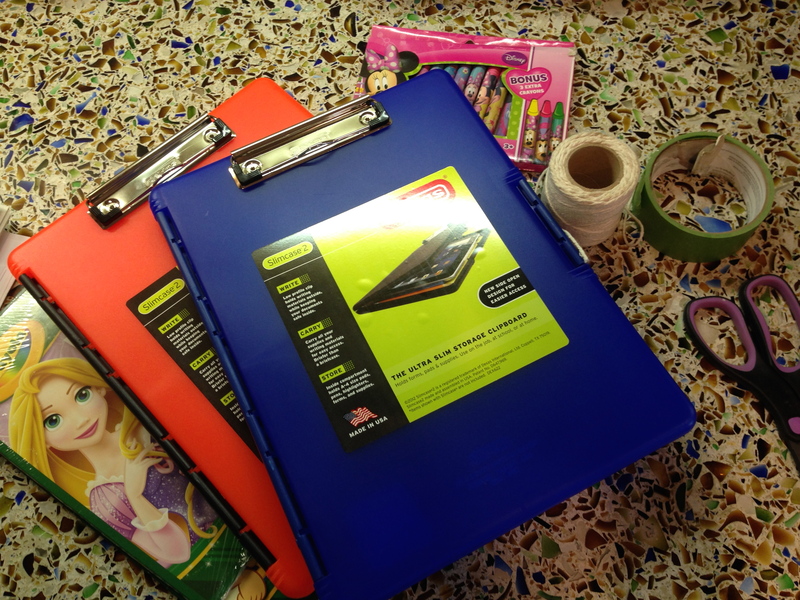 I originally was going to get a standard clipboard but when I went to do that, I found these pocket clip boards which were even better, because you can store papers and the crayons inside! Take the the string and measure enough length that they can get the right angle to color but not too long! 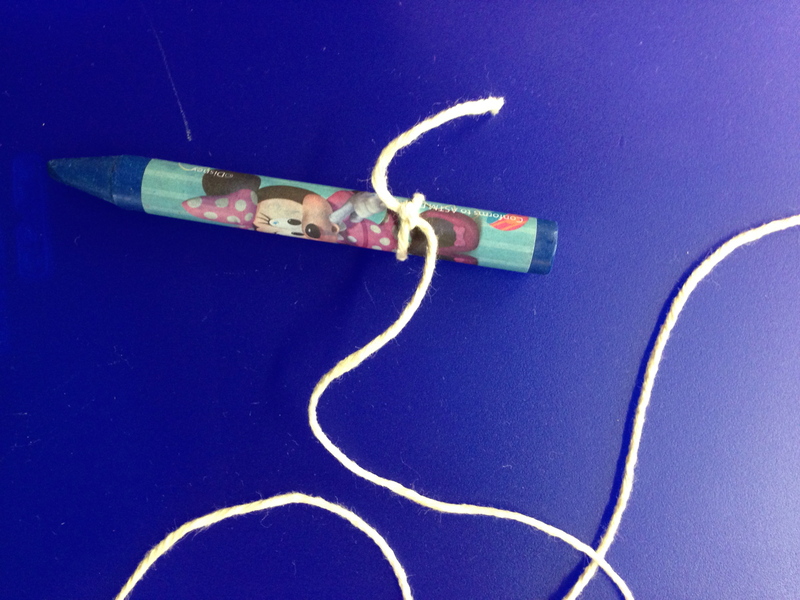 Tie the string around the crayons and cover the loop with tape for extra security that it will stay on the crayon. Repeat with desired number of crayons. I did five because I feared too many would make a knotted mess and too little would limit their coloring choices. Then for tying the string to the clip board I chose two different ways, and haven’t decided which is better. For one I looped all the strings together and made one big knot on the top of clipboard, and for the second I tied each string individually on the metal part of the clipboard. Note sure at this point which I prefer. The single, large knot has a cleaner look to it, and I think gets a little less tangled, I think, so you can decide. In the pocket part of the clipboard I put some coloring pages of their favorite characters, that were new and fun to them, but really you can just put plain white paper. 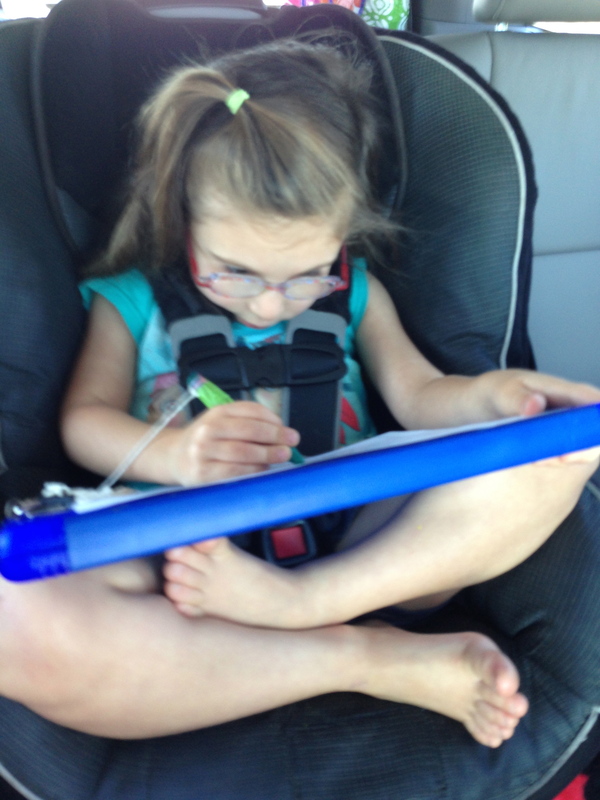 This entry was posted in preschoolers, Toddlers, Traveling, Uncategorized. Bookmark the permalink. Brilliant idea from a brilliant mother! 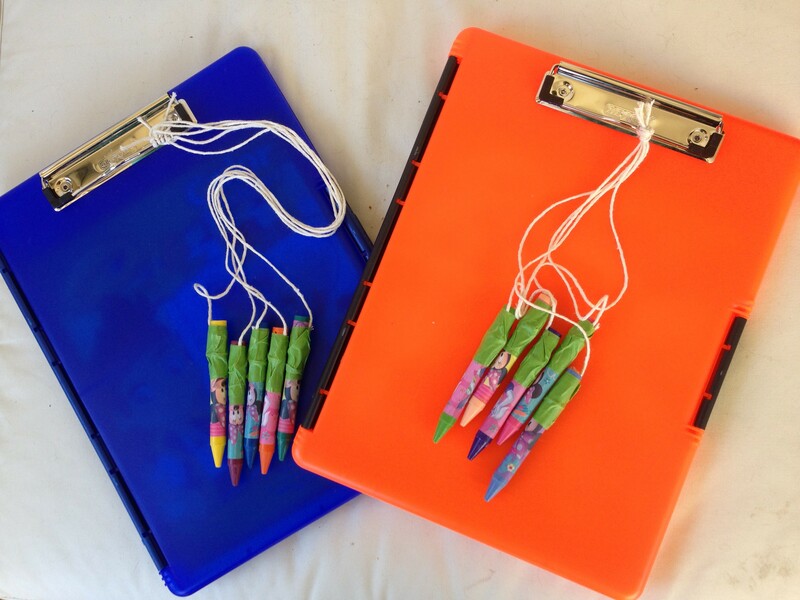 Even though many of today’s children use electronic tablets instead of paper and pencils/crayons, I stll believe you could market this creation (and a few others you have made in the past). As they say, “necessity is the mother of invention” and mothers like you are some of the best inventors. Great idea. I’ll be using it!